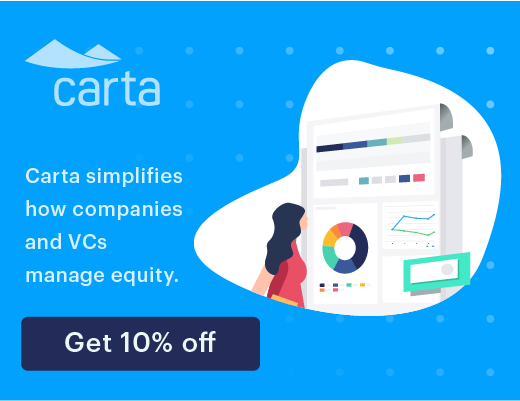 Each investor highlights their own unique approach to evaluating and selecting startups for investment. Nick: For this installment of Venture Investor Strategy, we have Imran Ahmad of OCA Ventures. 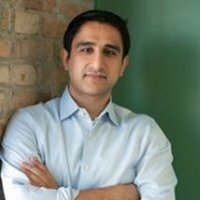 Imran, if you had to sum up your investment approach and evaluation strategy for early stage startups, how would you describe it and how is it unique or differentiated from other venture investors? Imran: So OCA is O’Connor and Associates, by its moniker, and O’Connor and Associates was at one point the largest—or one of the largest—derivatives trading firms in Chicago and across much of the world. So our background in that financial technology, financial services sector is part of our uniqueness in our own DNA. That being said, we do invest in a lot of core technology businesses and that’s really our bread and butter today. Its computer science and electrical engineering type businesses that you would think of. So software, not necessarily hardware. My own personal philosophy when it comes to investing, however, really stems from what I’ll call human nature and values. So I’ll give an example. Every time I evaluate a company, I try to determine if it falls into one of three buckets. The first bucket is, people are lazy. I put myself in that category. I’m stupid and lazy. And it really makes a different when you’re evaluating a product. Is this product going to make my life easier and is it simple to use? I do not want to have three clicks to do a task when I can have one click to do a task. And PayPal realized this a little bit later in the process when they did one-click checkout. And it makes a big, big difference regarding the success of a product. If you can make people’s lives easier so they don’t have to do as much, or if you can make people’s lives simpler, so they don’t have to understand as much—one of our big investments is a company called Base CRM. And it’s a CRM platform a lot of people liken to Salesforce, but it’s a lot more simple than Salesforce. If you were to look at Base’s UI and Saleforce’s UI, you would say that Base is better. It’s much easier to ingest data. It’s much easier to track your sales leads, and that’s really how I try to look at investments. The last sort of big industry human nature bucket that I look into is people, at the end of the day, are self-serving. And it may come across that I am down on people. I am not, I think people are great. But at the end of the day, there’s things in human nature that drive people to adopt new products, and if you don’t fit or get to one of those—one of those traits, you’re gonna be in trouble. I know some investors only look at look at companies that—if you’re involved in one of the seven deadly sins, that’s the type of deal they’ll invest in. so those human nature type of analyses are very difficult to do, but just understanding that you’re trying to make people’s lives simpler and easier guides a lot of my product decisions and guides a lot of my investment decisions. Nick: Is there one of those human nature characteristics that stands out on investments that you’ve made? Imran: I’d say the biggest one is people are lazy. And that, you’ll see, in almost every investment that we’ve made, and that I’ve made, has sort of stemmed from that trait. If you can make people live easier when they go in and out of a parking garage, that’s our investment in SpotHero. That is a big, big benefit that you are providing to the world. And you’ll see that theme, even with Pangea. If you can find people who don’t have to go to a Western Union brick and mortar and you can go to the Bodega down the street, I will probably use that service. And so I’d say that the people are lazy aspect really is a common thread. And, again, it’s not to denigrate people, it’s just the nature. We want things to be simpler. Nick: Yeah, something you said a bit earlier, we’ve talked a lot about purchasers and users of a product and ultimately removing friction in both processes. Removing friction in the purchase process, and removing friction in the sue model and making it easier to adopts and engage with. Nick: For this installment of Venture Investor Strategy, we have Dave Berkus. Dave, if you had to sum up your early stage investment strategy or philosophy, how would you describe it, and how is it unique or differentiated from other venture investors? Dave: I pick my battles by picking the areas in which I have some knowledge. And so it is internet, software, gaming, software and systems, and for me, now it’s becoming more big data because I have more experience in big data. And I, through my associates and friends, invest in medical technologies as well. By selecting just those areas where I have expertise available to me or expertise of my own, I am feeling like I’m gaining a little edge. And in many cases, I go onto the board or sometimes now to the advisory board of those companies, so it’s not just a monitor and investment, is to leverage the opportunity and use whatever skills I can to help those companies to grow. 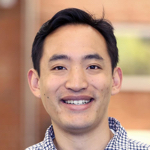 Nick: So today we’re speaking to Rob Go of NextView Ventures. Rob, can you talk about how you evaluate and select early stage startups and how that may be unique from other venture investors? Rob: Yeah, so, you know obviously selecting early stage companies is very much an art. And every venture investor essentially looks at the same three things, right. Team, product, and market. I would say a couple of things that we look at that are maybe a distinctive slice of these things. First on the team side, we tend to look for what we call authentic founders. So these are founders who approach a problem, not in an academic kind of way when they say “What are some problems that are interesting? Let’s solve a problem” but rather are going after experiences that are, you know, deeply personal or born out of very, very direct experiences, and that why they’re starting these companies, and that’s why they have a unique insight into solving these problems. So we love authentic founders. On the product side…we, you know—I tend to think of companies that can deliver a product or service that has the potential to be ten times better, faster, or cheaper than the competition and also has the potential to have ten times the market share of their next closest competitor. And so essentially what we’re looking for is two things. One is that there is something about the technology or the product that is an order or magnitude better than what exists, because the startup being two times better typically doesn’t cut it. And then the second is that you have the potential for high market share because there is some increasing returns to scale in the business, either through a network effect or some other source of defensibility so that when you win, you can really dominate a market and become extraordinarily large and it’s worthwhile. And then on the market side—I have a blog post on this, but a lot of people are fixated on “Is this market really big and is it growing?” I think that’s a little bit simplistic. We tend to think what are—sort of it’s—it’s very academically, like Porter’s Five Forces. Like “is this an attractive market?” across a bunch of different dimensions. And we tend to believers that—you know, the old adage that when a great team meets a lousy market, the market retains its reputation. We’re mindful that it’s very difficult to win in a challenging market. But we’re also excited with founders that can great new markets and maybe shift the dynamics of a market to something that’s more attractive down the road. Nick: Are you looking for founders that are creating a market or fundamentally changing the paradigm of a market, or do you also go after technologies in existing markets? Rob: Yeah, we do a little bit of both. You know, one of the things that we talk about it going for goloso companies. So goloso’s a slang for a spectacular, beautiful goal in soccer. One of my partners, Lee, is a soccer nut and so we coined that phrase. And we talk about that a lot. “What’s the goloso of this business?” and so we do look for companies that are either gonna transform a market by doing something completely different or inventing a new market where one didn’t exist, or a different sort of market existed before. Because venture is an outliers kind of business, and you need to go after opportunities that have the potential to completely change markets and be industry defining companies. And so we tend to like those opportunities.